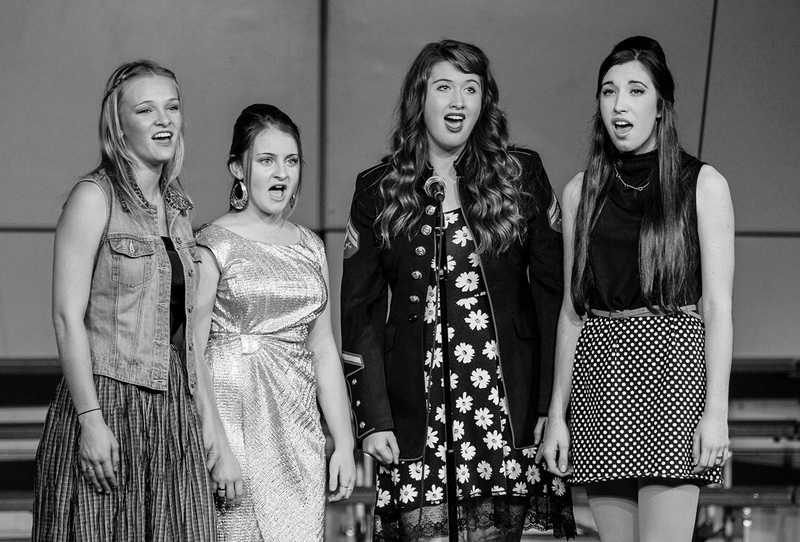 Advanced Women’s Ensemble is a year-long course open by audition only to women grades 9-12. This is an advanced course focusing on SSAA literature from all periods of music history. 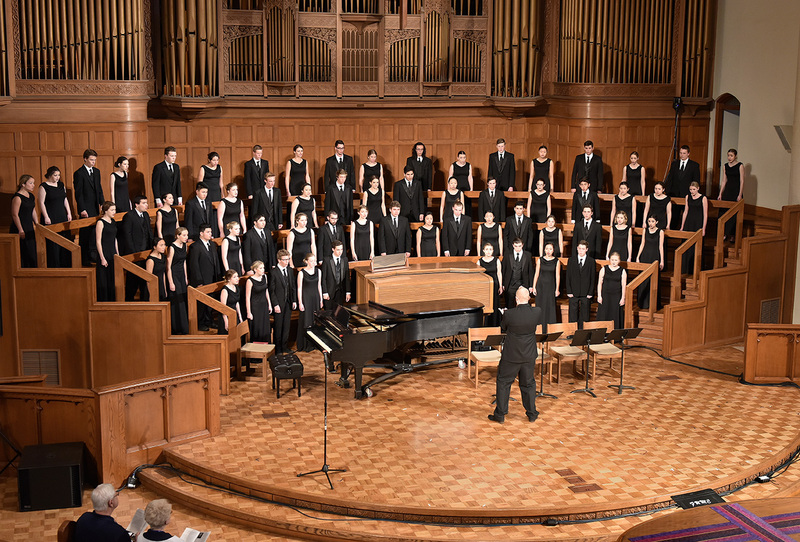 Students develop advanced vocal and musicianship skills, as well as sight reading training. 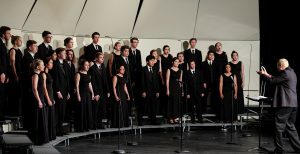 They perform all all school concerts, as well as several festivals throughout the year. 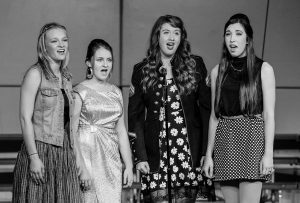 A Cappella is a year-long course open by audition only to women grades 9-12. This is an intermediate course focusing on SSAA literature from all periods of music history. 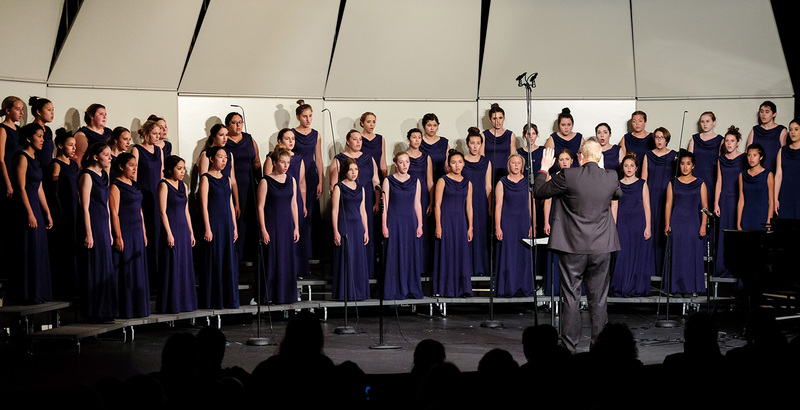 Students develop advanced vocal and musicianship skills, as well as sight reading training. They perform all all school concerts throughout the year. 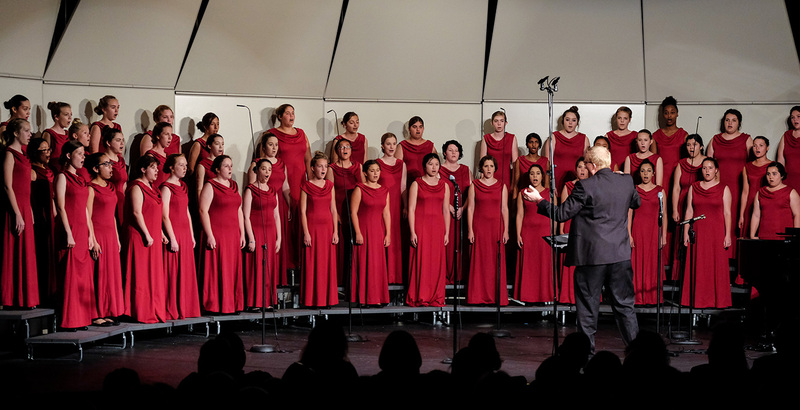 Concert Choir is a year-long course open to any female singer grades 9-12 with the consent of the director. 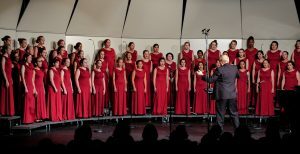 This course focuses on basic vocal techniques, music theory, sight reading and SSA choral literature for the beginning women’s ensemble. Concert Choir performs at all concerts throughout the year. 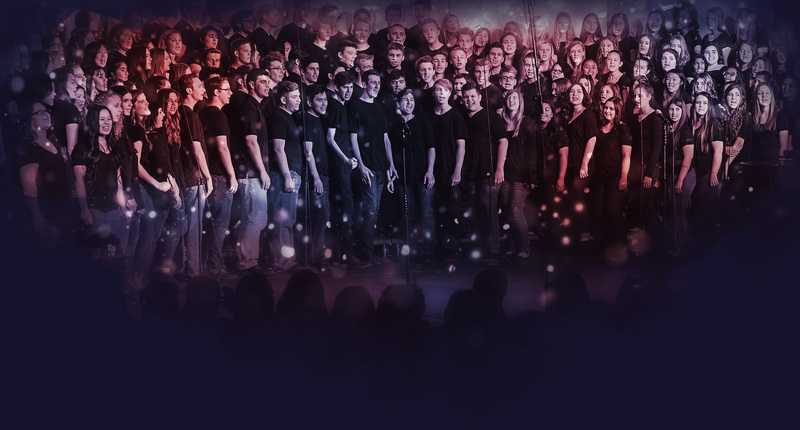 Men’s Choir is a year-long course open to any male singer grades 9-12 with the consent of the director. 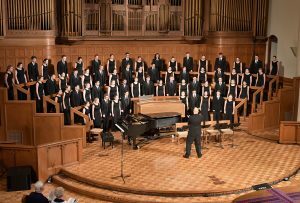 This course focuses on basic vocal techniques, music theory, sight reading, and TBB choral literature for the beginning/intermediate men’s ensemble. 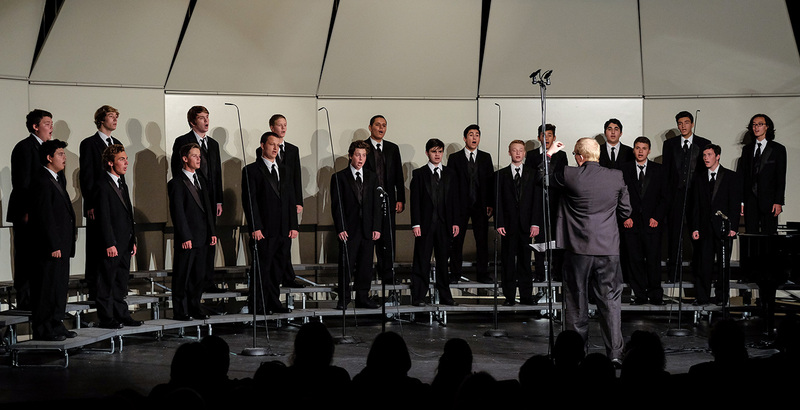 Men’s Choir performs at all concerts throughout the year. Our barbershop quartet is a four-person male ensemble that meets one tutorial every week. They perform at all school concerts, and they frequently perform at sporting events, pep rallies, and various other school and community events. 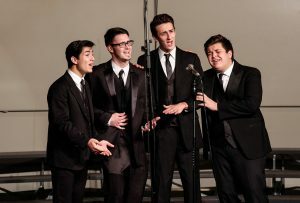 This group performs primarily songs in the barbershop style, and competes in the annual Barbershop Harmony Society High School Quartet Competition. Our beautyshop quartet is a four-person female ensemble that meets one tutorial every week. 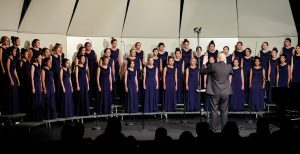 They perform at all school concerts, and they frequently perform at sporting events, pep rallies, and various other school and community events. 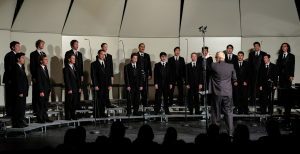 This group performs primarily songs in the barbershop and contemporary styles.